Action-packed, with a large, stable frame - so jump right in! 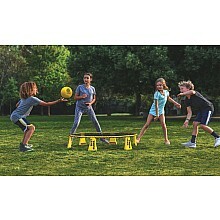 For ages 6 yrs-adult, from Spikeball. Action-packed, with a large, stable frame - so jump right in! For ages 8 yrs-adult, from Spikeball.